The long wait period and tiresome process to reunite with your loved ones is no more a hurdle for the Canada PR holders and citizens. 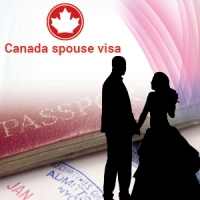 It is indeed good news for many people who are waiting to bring their spouse to Canada. The Government of Canada has now announced that it is making the process faster and easier for Canadians and permanent residents to reunite with their spouses. As per the instructions of Canadian immigration minister, Refugees and Citizenship Canada (IRCC) began to draw a systematic plan to reduce processing times for the spouse visa. Earlier the processing time was around 20-24 months on average, which was brought down to 15 months by fall 2016. Starting from December 7, 2016, the processing time will be reduced even further to 12 months, however complex cases may require more time to process. IRCC will however continue to process applications in the order they have received them, but the good news is that, the applicants who already filed an application will not have to wait an additional 12 months to have them finalized.